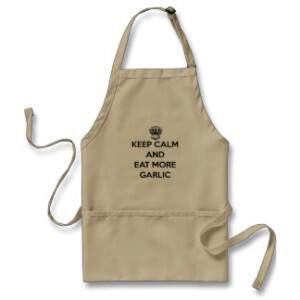 Pyong Vang garlic is an Asiatic garlic known for its big cloves and bold taste. Photo courtesy of Filaree Garlic Farm. Pyong Vang garlic (also called Pyong Yang garlic) is an Asiatic variety that is commonly grown near the North Korean capitol. Pyong Vang is ready for harvest early in the season and should be harvested once one or two leaves have turned brown, making it slightly unusual among garlics as far as signs of when it is time to harvest. It does well in warmer climates and can be an excellent choice for growers in southern U.S. states when temperatures can soar during the spring and early summer. Pyong Yang generally produces 6-8 large cloves per bulb and can store for up to 6 months. It produces very large bulbils and can be a good choice for growers looking to expand their stock by planting bulbils. Leaving scapes on to produce and harvest bulbils doesn’t significantly impact bulb size as it does in many other garlic varieties. 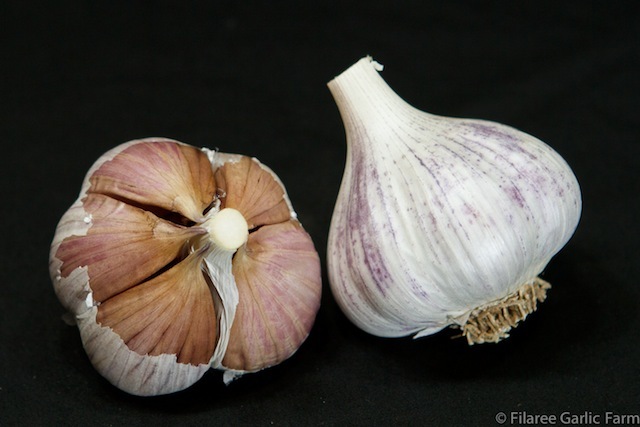 Pyong Yang garlic can be spicy and hot if eaten raw but develops a smoother, nutty flavor when baked. It can be difficult to find in local markets but is generally available for sale online at a variety of grower websites.